In a press release Monday, Santa Anita announced substantial purse increases due to “increased handle over the last year” for all overnight races at its upcoming winter meet, as compared to its recently-wrapped fall meet. 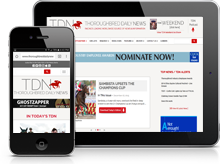 While purse increases will be seen across the board, the biggest cash injections–as much as 11%–will be aimed towards claiming races, “which are the bread and butter of the racing program,” said Elizabeth Morey, director of Racing and Northern California Operations for Thoroughbred Owners of California (TOC). In addition, the purse distribution in races run for $30,000 or lower will be adjusted so that the first five home will receive a 55, 20, 12, 8 and 5% cut respectively. For races above that threshold, the distribution model remains 60, 20, 12, 6, and 2%. Perhaps most eye-catchingly, come Dec. 26, horses that win first condition allowance races at Golden Gate Fields will be eligible to run again at the same level at Santa Anita. If a horse wins first-condition allowance races at both Golden Gate and Santa Anita, they’re subsequently ineligible for a “two other than” condition race. 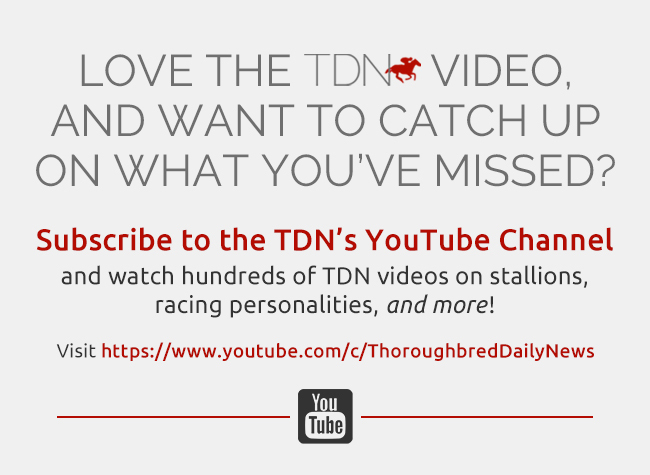 Asked whether the changes concerning first-condition allowance races will impact field sizes in certain races at Golden Gate–the change is described as an “incentive” for Bay Area horsemen to ship south–Bill Patterson, Northern California manager of the California Thoroughbred Trainers, told TDN that it “could” have an impact. 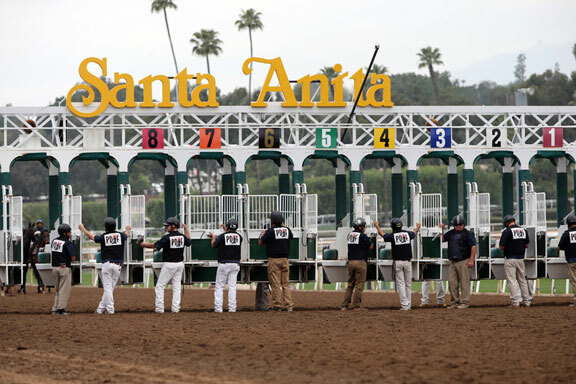 According to Santa Anita Racing Director Dan Eidson, the changes made to the purse distribution model in races run for $30,000 or less is designed to level the playing field between large and small stables. The issue of so called “super trainers” is one getting increasing attention. For a long time, the 20/80 model–that the top 20% of trainers won 80% of the prize money–was believed to be the rule in California. According to stats calculated using Daily Racing Form data, the top 20% of trainers in California won nearly 84% of the available purses in 2016–a ratio that has remained fairly consistent between 2007 and 2016. “If I had my way, I would go the whole nine yards. I would do what New York is doing,” Eidson said, meaning that he would expand the new distribution model to cover all, or nearly all, races at Santa Anita. the following way: 55, 20, 12, 6, and 4%, with the remaining 3% divided among the remaining runners. That structure has continued through the Belmont and Aqueduct meets. Nor is this kind of model foreign to California. At Golden Gate, the purses in races run for $10,000 or less are currently distributed 55, 20, 15, 7.5, and 2.5%. Morey said that it’s “a little premature to say” whether the distribution model will be expanded. “Everything that’s being done for this meet has been a collaboration between the track and the TOC, and I think we’re all looking to try new things to keep California very competitive,” she added. As to the changes in first-condition allowances, expanding from non-winners of $10,000 other than maiden, claiming or starter, to $15,000 other than, Eidson said that it’s an “incentive” to bring horses to California that have already run and won elsewhere.